A few years back, Twitter was a good source of breaking news and the good piece of content in fewer words. Now, it has become the place full of abuse and trolls. Thanks to Twitter, we have various options to avoid trolls and abuse on this platform. 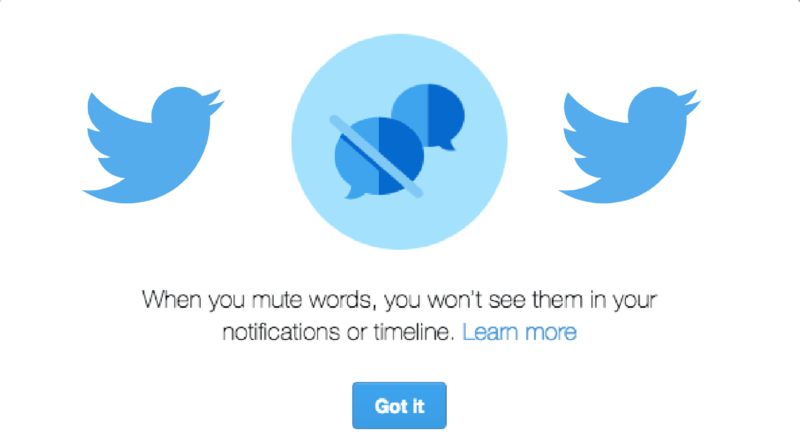 You could already filter tweets based on certain words and block abusive tweets. Now, you can also filter your twitter stream tweets and block tweets if contain specific word or hashtag. You can use the mute filter to block certain hashtags and keywords. In this article, I will show you how to mute abusive words on Twitter from timeline and notifications. When you mute a word or phrase, you will not get notifications even if you have been tagged in the tweet. For the other person, there will be no indication if you have muted anything. In this guide, I will tell you steps for both app and website. Step 1: Log into your Twitter account on the web or open the Twitter app on your phone. Step 2: On the web, click on Settings at top right side of notification section. On mobile, you will see the gear icon to open settings. Step 3: In the new page, click on ‘Mute specific words from your notifications and timeline.’ In the mobile app, it will be ‘Mute Words’. You have successfully muted a word on Twitter. Muting a word or hashtag will remove tweets containing this word from notification tab, push notification, SMS, email notification, home timeline and from replies on Twitter. It is also worth to note that muting case insensitive. If you mute a word, it will also mute the hastag. I have used the Android app screenshots but same steps will be there for iOS app. So, you can easily follow the same guide if you are using iOS device. I hope this guide helps. You can browse more articles and request an article if you need help regarding something.